Anger is a universal emotion that can be handled destructively or constructively. To comprehend the destructive impact of anger, all we have to do is read the newspaper or watch TV and we see the magnitude of physical, verbal, sexual, and emotional violence. At the University of Denver, studies found that the major predictor of divorce and marital unhappiness was not disappointment over finances, lack of sexual attraction or lack of love. It was the way couples handle their disagreements and anger, and the way they communicate and fight about their disappointments. Will Rogers said, “People who fly into a rage always make a bad landing.” Let’s look at how to successfully manage this powerful emotion. Emotional intelligence is becoming increasingly understood and accepted as a practical means to managing anger, especially in marital relationships. 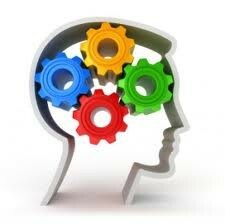 Emotional intelligence consists of two areas of competence. The first is Personal Awareness and the second competence is Social Awareness. What do these two areas of competence really mean? There are numerous “irrational beliefs” that we allow to fuel our anger. These are often referred to as “trigger thoughts.” There are also cognitive distortions that we fall into and they also end up fueling our anger. This would include what is called a “mental filter.” We do this when we dwell on one single negative thing our spouse has said or done and then conclude that they must not want to be around us etc. Self-soothing is another skill we can use to calm ourselves so we can become more logical in our problem solving efforts. It is also important to develop social awareness if we are going to be able to manage our anger effectively. This involves awareness of how our emotions affect our spouse and others. It also includes simply being aware of the emotional state of our spouse. For instance, when one enters their home and sees that their spouse is looking sad and tearful, it is important to recognize their emotional state and respond appropriately. In this situation the spouse entering the home would not want to begin making demands on the sad spouse. Additional skills in the area of social awareness include speaking non-defensively and avoiding criticizing our spouse’s character. There is a big difference between making a complaint and criticizing our spouse. Naturally, forgiveness is a very vital and necessary emotional intelligent skill to employ whenever appropriate. As such, forgiveness clears the path to a stronger, safer relationship. These are just a few of the many emotionally intelligent skills one can learn to manage anger and to create a safe, nurturing environment in the marital system.